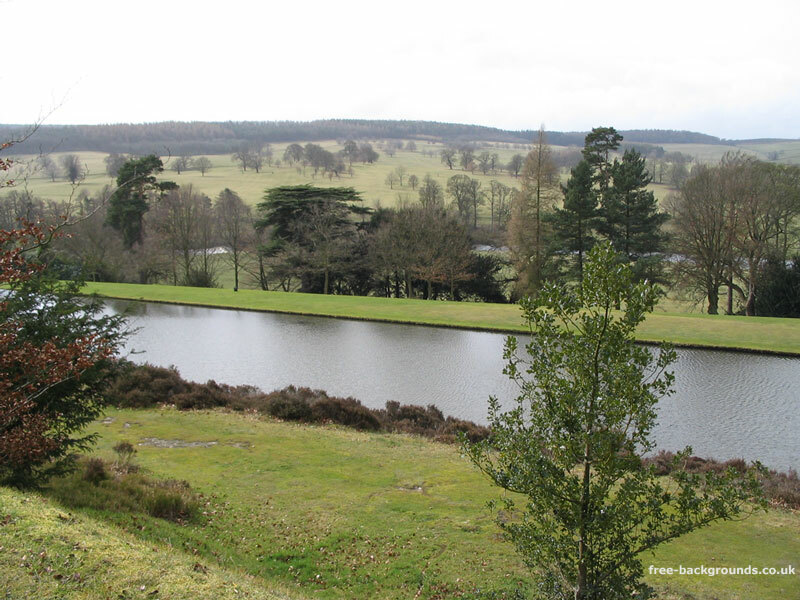 The view over the sculptured gardens at Chatsworth House in Derbyshire. In front of us is the lake that leads up to the front of the house, where a 294-foot high fountain graces the skyline. Further in the distance, another man-made lake is visible, also part of the house's gardens. This house, the home of the Dukes of Devonshire for centuries, was used in the recent film version of Pride and Prejudice, and it is thought that it originally inspired Jane Austen to create Pemberley Hall.